Are you ready for Beach Side Living with room to grow? 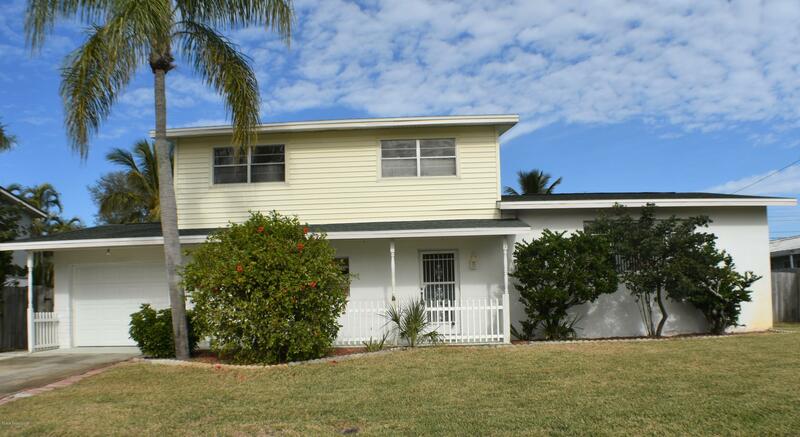 This 4 Bedroom, 3 Bath Multi-Level home in A rated Ocean Breeze Elementary School zone is ready for a new family. Main level of the home includes the kitchen, formal living and dining room. Lower Level includes a 4th bedroom, full bathroom and a large bonus room that can be a 5th bedroom, den/office or family game room. On the upper level you will find the master bedroom and two additional bedrooms with original hardwood floors. The enclosed Sun Room provides extra space and access to a Huge fenced in backyard that has plenty of room for outdoor living. Interior freshly painted, Brand new Hurricane rated garage door, New Electrical Panel 2018, A/C 2014, Water Heater 2017, Roof 2006. Close to shopping, restaurants, parks & BEACH!